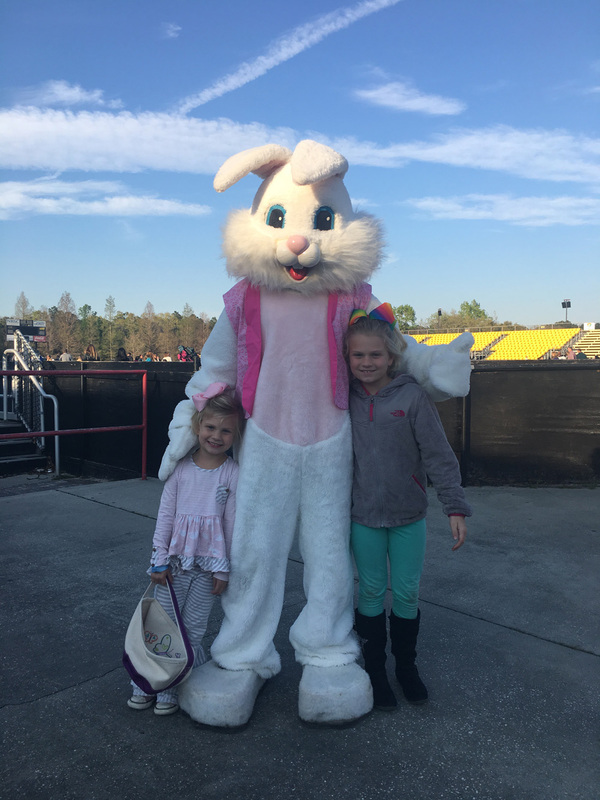 Things were hopping at MUSC Health Stadium last Friday, March 23! 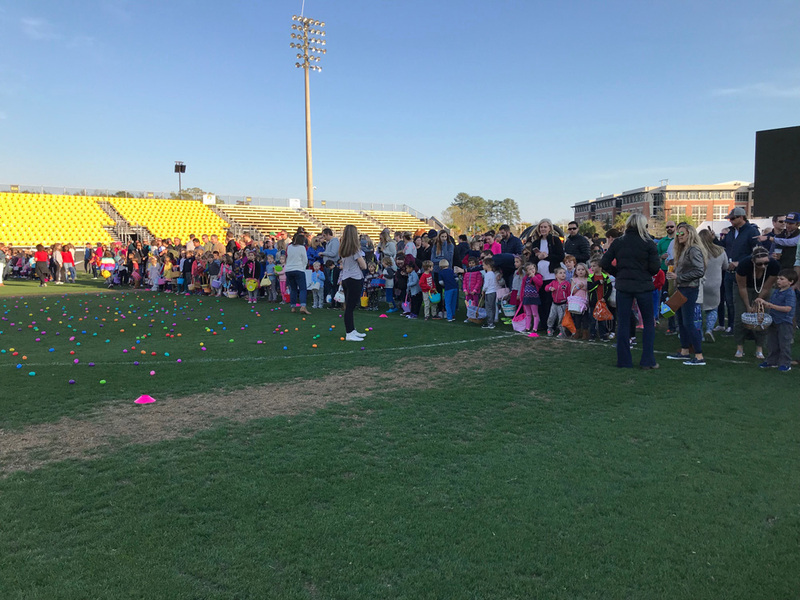 More than 450 kids took part in the Daniel Island Property Owners Association’s annual “Easter Egg Hunt” on the stadium grounds. 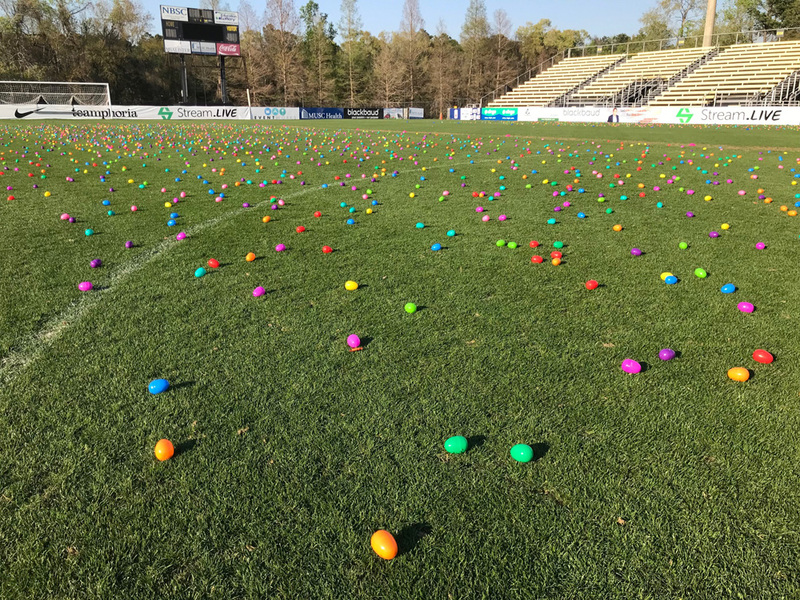 The DIPOA hid over 5500 eggs for the eager youngsters to collect. The evening also included a showing of the movie “Hop” as part of MUSC Health Stadium’s “Films on the Field” series. 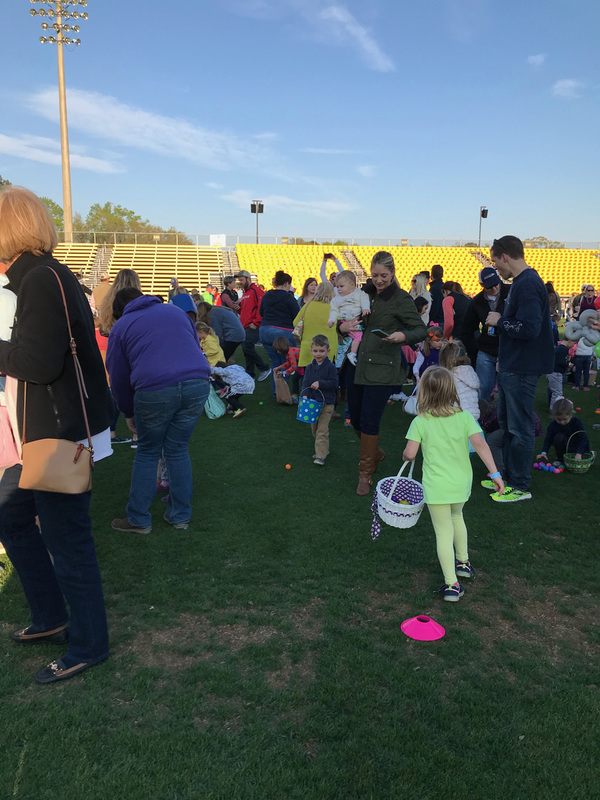 Hermann thanked volunteers from the Academic Magnet Key Club and Young Life for lending a helping hand at the festivities, and also new Daniel Island Grand Marshal Rosie Stieby for coming out to announce the start of the egg hunt!